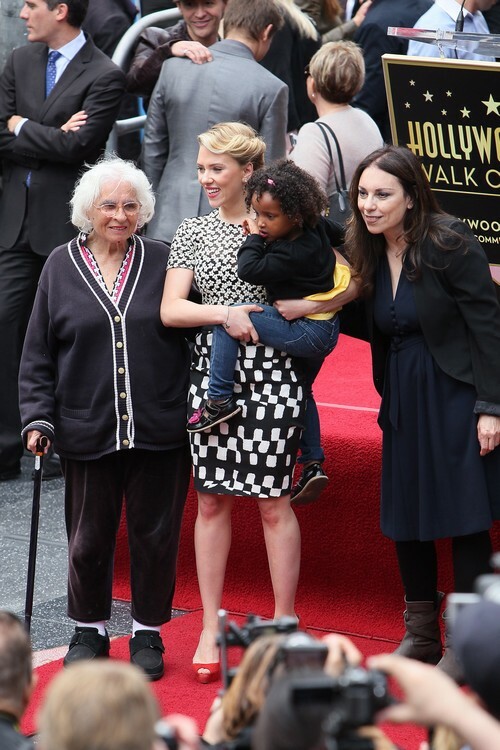 Scarlett Johansson receives her very own star on the Hollywood Walk of Fame. Scarlett’s star is #2,470 on the famous walk. Turning out to support her on this special day: her mom, Melanie Sloan, her sister Fenan, and her grandmother. Her ‘The Avengers’ co-star Jeremy Renner was also on hand to say a few words about her career. Scarlett’s new movie opens tomorrow!